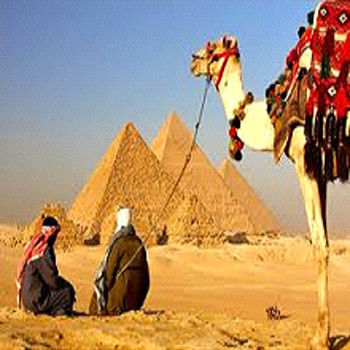 Arrive Cairo where you will be met by our representative who will help with immigration and customs formalities. Transfer to your hotel for an overnight. Service charges imposed by hotels, porterage, cruise port charges, meeting and assistance at airports, hotels and docks are also included. Arrive to Cairo Airport where our representative will meet you and help you through the airport Customs & Luggage identification. then you will be transferred by private A/C car to the hotel, Overnight Hotel. Arrive Aswan , our local representative will meet and transfer you to your hotel , then you will have the opportunity of visiting the fantastic philae temple dedicated to the famous goddess Isis . Afternoon free . Breakfast and free morning, or take the option to visit the Glorious Temple of Ramses 2 at Abu Simbel Called the African gate of Egypt. Afternoon check in your Felucca on your way to Edfu , our Nubian friends will provide all meals as well as singing Nubian songs as we glide through the dark waters of the Nile . After breakfast, visit the Temple of Hours at Edfu after touring the temple we will Say farewell to our Nubian friends then you will be transferred to your hotel in Luxor . Afternoon free, overnight in hotel. Breakfast and then visit the west bank of Luxor & touring the Valley of kings & Queens as well as the colossi of Memnon ,Temple of Queen Hatshepsut at El Deir El Bahary .transfer to the train station to catch the train back to Cairo. Arrive Cairo . meet & transfer to hotel . free day . After breakfast we take the private car to Alexandria where we will visit the Roman catacombs,Pompei's pillar,the citadel of Quaitbay & Montazah palace . then take the car back to Cairo . Arrive Cairo, free night . 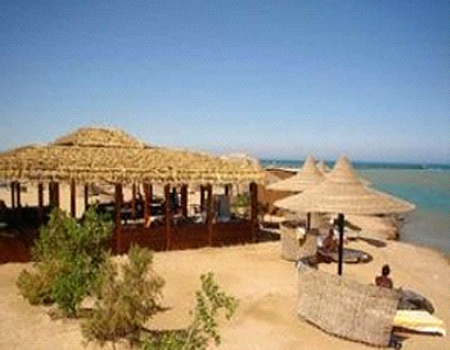 Accommodation 5 nights hotels , 2 overnight train, 2 nights Nile Felucca . Activities - Pyramids Giza and the Sphinx. Staffing Fully escorted by our Tour Guide. Including Accommodations, Meals, transportation, and sight Seeing as specified, return airport- hotel - airport transfers and service of the tour guide. Upon your arrival at Cairo international Airport, your tour leader will greet you to take care of all necessary airport arrangements and the transfer to your hotel in, where you will also enjoy a welcome dinner at a local restaurant. Begin your immersion in to Egypt's ancient history with a visit to the Great Pyramids of Giza, one of the 7 Wonders of the Ancient World and the only one still standing intact. Explore the inside of these amazing constructions before seeing the highlights of Sakkara and the ruins of Memphis. In the evening, you will go on a high-class dinner cruise along the beautiful River Nile, with traditional Egyptian entertainment to accompany you. 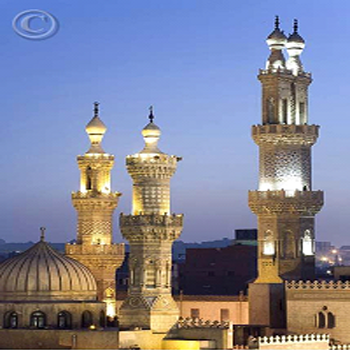 Explore Old Cairo, enjoy the views from the city’s historic Citadel and visit the Mohamed Ali Mosque. Freshen up at your hotel, before dinner at another local restaurant to experience Egyptian hospitality at its best. Today you will depart Cairo and drive into the Egyptian desert. 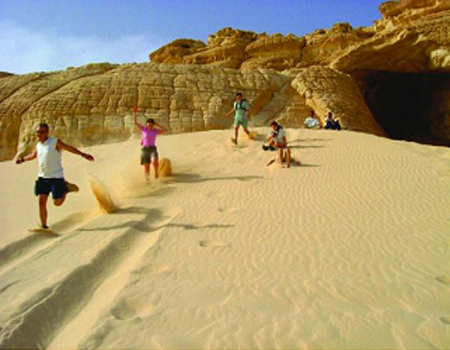 Your first destination is the Bahariya Oasis. Upon arrival you will have some time to relax before an evening to explore the town and its antiquities. Return to your hotel for a relaxing dinner. After visiting the famous Mummies Museum and Alexander the Great Temple, brace yourself for a thrilling off-road adventure today as you drive deep in to the Black & White Deserts by 4x4 vehicle. Marvel at nature's majesty as you explore the extraordinary landscape of black-crusted gold. Stop at places such as Crystal Mountain, famous for its quartz crystals. Enjoy a picnic lunch and a barbecue dinner at your desert camp, where you will spend the night camping under an incredible starlit sky. Return to your hotel for a refreshing breakfast and departure to your next desert wonder by coach. You are heading for the Dakhla tombs and Balad City. 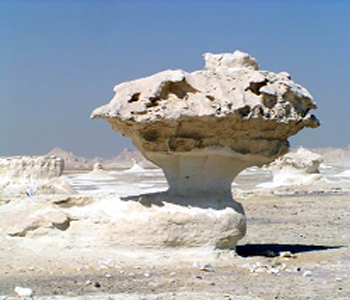 Dakhla is one of the 7 oases of Egypt’s Western Desert and as you drive through the white desert you will see massive chalk formations and mushroom-shaped rock sculptures. You will stop to visit the town of Farafra and the Badr Museum, named after its famous local artist. A picnic lunchbox will be provided for the day, and dinner will be at your hotel on arrival in Dakhla. End your adventure in the desert oases with a night at the Kharga Oasis, where you will visit Palace City, the El-Bagwat Tombs and Hibis Temple. Leave the beautiful desert and ancient caravan routes behind as you travel towards the Red Sea and one of Egypt's most impressive cities. Luxor has been called the world’s greatest open-air museum and is the site of the former Ancient Egyptian city of Thebes. Arriving at your hotel in time for lunch, you will get a rest period before your evening’s entertainment. The night starts when a horse-and-carriage turns up to collect you from your hotel to take you to the local bazaar and a restaurant for an exquisite dinner. Today you will explore the city of Luxor in full. Boasting some of the most amazing cultural highlights in the world, you will be astonished by its endless architectural wonders and indescribable vibe along the ancient streets. Situated on the River Nile, you will visit Luxor's west and east bank and marvel at the temple ruins of Karnak, Luxor Temple, Colossi of Memnon and the Valley of the Kings, to name a few. Dinner will be served at your hotel, where you will spend the final night of your journey to discover the heart and soul of Egypt. 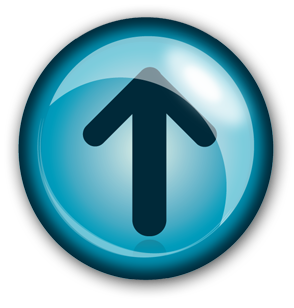 transfer to the airport for your return home or onward journey. Drift back to Ancient Egypt as you enjoy one of the world's most famous rivers, with this two week tour of historical sites along the Nile and Red Sea. Cairo: Arrival in Cairo and transfer to the hotel. The rest of the day is free. 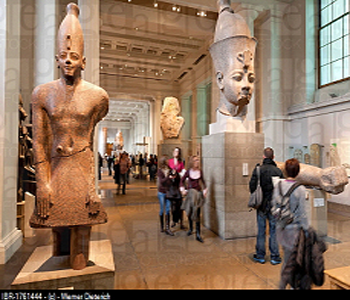 Cairo: Visit the Egyptian Museum, with its more than 100,000 relics. Your guide will be with you for two or three hours, after which you are free to roam the museum yourself. The evening is free. 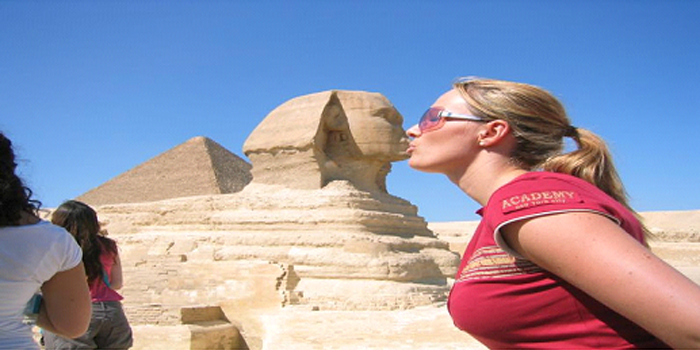 Cairo: Visit the Pyramids and the Sphinx at Giza. You can travel by horse to the Plateau and feel like you've been transported back in time. Later on the tour visits Saqqara and the the funerary complex of Zoser. You will also see the Pyramid of Teti. In the evening you will board the first class train to Aswan. Aswan: Arrival in Aswan in the early morning. 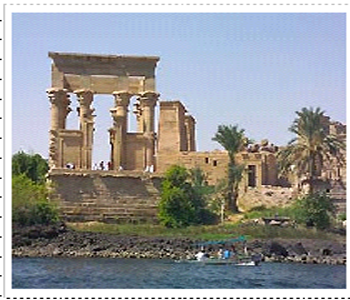 Later in the day you will visit the Obelisk, Philae Temple, the temple complex of Isis and the High Dam of Aswan. The evening is free. Abu Simbel: After an early morning bus or flight (optional) the tour visits the majestic Abu Simbel, built by Ramses II and the Temple of Nefertari. You will then return to Aswan in the early afternoon and can spend the afternoon wandering the souqs or visiting the Nubian Museum. 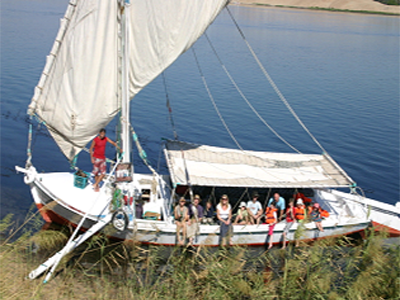 Aswan: The tour will board our local felucca to visit Kitchener and Elephantine Islands. 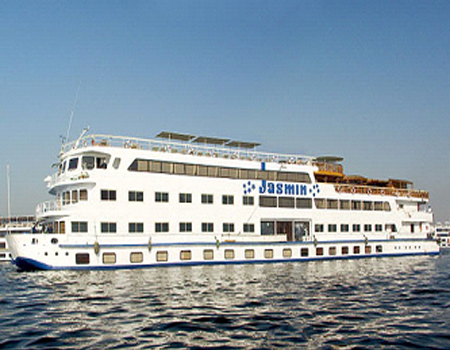 In the afternoon you will begin a two night cruise down the Nile on a Nile cruiser. You'll get to spend the afternoon lying in the sun before the chef prepares dinner. Nile cruiser: Early morning visit to Kom Ombo, the temple of Sobek. 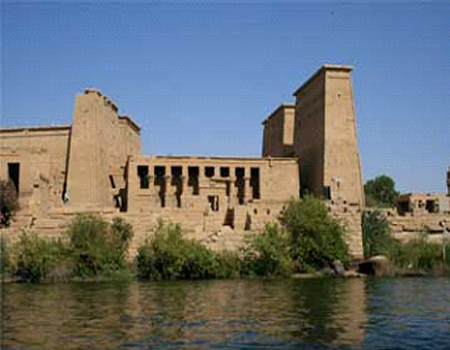 The tour goes back to the Nile cruiser to continue sailing to Edfu then visit Edfu to see the Temple of Horus. You will spend the night on your Nile cruiser while you sail to Luxor. Luxor: The morning is free. . 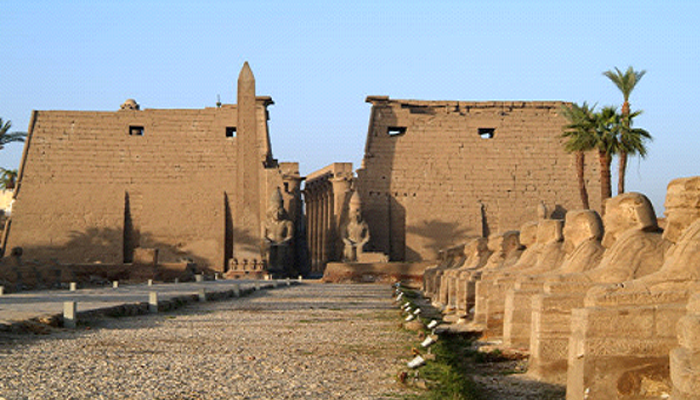 In the afternoon we will visit the East Bank and see Luxor Temple built by Amenhotep III and Karnak Temple. 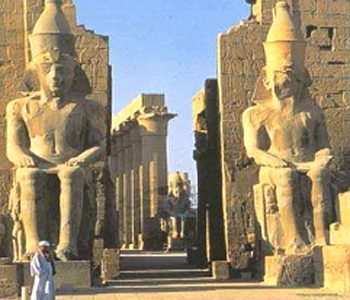 Luxor: Visit the West Bank, Valley of the Kings and Valley of the Queens. 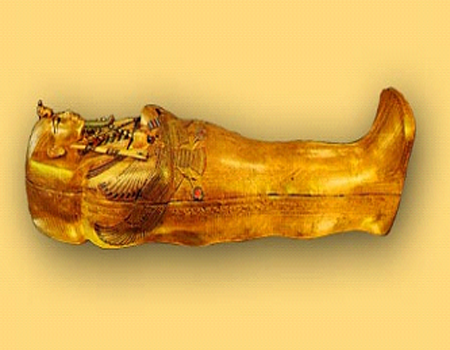 We will have the opportunity to visit 5 tombs with our guide or you are free to choose yourself. 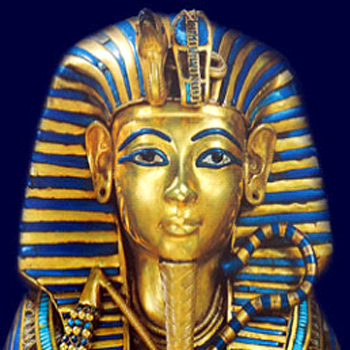 We may also visit the tombs of Tutankhamum (optional). 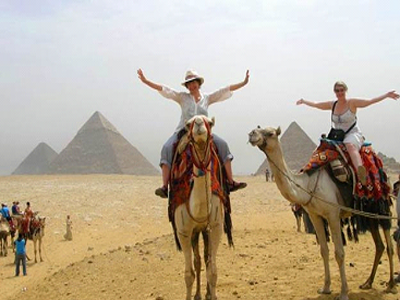 We can also visit the Colossus of Memnon and the Temple of Hatshepsut (optional).,transfer to your hotel. Luxor: The day will be free to lie by the pool or discover Luxor (depending on flight time). We will fly to Sharm el Sheikh and upon arrival drive to Dahab (a one-hour drive). Dahab: We relax and enjoy our day and in the evening drive to Mount Sinai. We will leave the hotel at 11.00 PM in the evening, climb 2285 meters to the summit and wait for a magnificent sunrise. Dahab: After we've seen the sunrise, we climb down the mountain and visit the Monastery of St. Catherine, dedicated to the legendary martyr of Alexandria. We return to Dahab for a well earned rest. The rest of the day is free. Dahab: Today you'll get to take a snorkeling and sunbathing trip to the famous Blue Hole. In the evening we will transfer to the bus for the overnight journey to Cairo. Cairo: Arriving in Cairo for the last night and some last minute shopping. 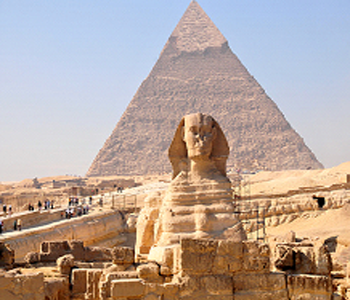 This package tour takes you to the heart of Ancient Egypt with a 5-night stay in Cairo to cover its highlights, such as the Great Sphinx, Pyramids of Giza and Egyptian Museum. You will also spend 2 nights in Alexandria where you can explore its legendary library. Continue to the remarkable Fayum Oasis and then join a deluxe 7-day cruise down the Nile Valley, from Luxor to Aswan and back. Arrive at Cairo Airport and meet your guide for the transfer to the Hotel. Accommodation will be on a half board basis. After check-in, enjoy dinner and an overnight stay relaxing in the exciting city of Cairo. After breakfast, you will go on a full-day tour with your expert guide to the impressive Egyptian Museum, home to more than 120,000 ancient artifacts. Explore Tahrir Square, site of the modern Arab Spring demonstrations. Pause for tea and coffee in a local café, and lunch in a neighborhood restaurant. After lunch, we will visit the Citadel and the warren of streets of the Khan el Khalili Bazaar, where you can practice your bargaining skills. Return to your hotel for an overnight stay. Your guide for the day will pick you up and transfer 132 miles (220 kilometers) across the Western desert from Cairo to the city of Alexandria. Sometimes called the “Bride of the Mediterranean,” you will visit the imposing Fort and Citadel of Qaitbay, built around 1480 by the Mamluk Sultan Qaitbay. Following lunch, your guide will take you to the Montazah Summer Palace. Originally built in 1892, it was the summer home of the Egyptian Royal family. Retrace their footsteps as you walk around the delightful gardens in the evening. Today, we will visit Alexandria Library, one of the most important libraries in the world. After lunch visit Bombay's Pillar, which was built in 297 AD for the Roman Emperor Diocletian. You will also go to the Catacomb of Komel-Shokafa to see the tombs that were tunneled into the bedrock at the time of the Antonine Emperors in the 2nd-Century A.D. In the evening you can take a city tour of Alexandria and watch it come alive as the cafés and restaurants begin to fill. Transportation to Cairo after early breakfast,Today you will explore Coptic Cairo, location of the oldest Christian churches in the world. We will visit the Hanging Church, also known as El Muallaqa. Dedicated to the Virgin Mary, it was believed to have been built at the end of the 3rd-Century. Built on the outer wall, you will see the Greek Church of St. George. Follow with a visit to the Church of St. Sergius, a perfect example of the Coptic churches and monasteries. Move on to the Al-Rifa'i Mosque, which translates in English as the “Royal Mosque.” It was constructed in two phases between 1869 and 1912 and was originally commissioned by Khushyar Hanim, the mother of the 19th-Century Khedive Isma'il Pasha. Intended to expand and replace the pre-existing zawiya, or shrine, of the medieval Islamic saint Ahmad al-Rifa'I, the shrine was a place of pilgrimage for locals who believed that the tomb had mystical healing properties. Today you will visit the Fayum Oasis and Qaroon Lake. Relax on the 63-mile (105-kilometer) drive before starting your tour of the Oasis at Qaroon Lake. Look out for the many different species of birds that inhabit the area. The lake is thought to be the oldest natural lake in the world and is the third largest lake in Egypt. Considered an interior lake, not related to any sea or river, it covers a vast area of approximately 53,000 acres. After lunch in Fayum, you will visit the Medium Pyramid, thought to have been built for the last pharaoh of the 3rd Dynasty. Located at the center of the city are 4 waterwheels that have become the symbol of the Fayum Governorate. Explore these iconic symbols of the city before you return to Cairo for an overnight stay. Tomorrow you will fly to Luxor. Arrive at Luxor Airport in the morning and meet with your guide. Transfer to your Nile Cruise and check in to your deluxe cabin. You will have some time in Luxor to explore at leisure, and in the evening we will visit Luxor Temple to view it under the beauty of the night illuminations. Return to the ship for dinner and an overnight stay while anchored in Luxor. After breakfast, drive to West Luxor (the ancient Thebes) and visit the dramatic Valley of the Kings, Hatshepsut Temple and Memnon Colossae. Return to the ship for lunch. The ship will then set sail, passing Esna, before dinner and an overnight stay on board in Edfu. Transfer after breakfast to the extraordinary Temple of Horus, where you will have the opportunity to explore the largest and best-preserved Greek-built temple in Egypt. Return to the ship and set sail for Kom Ombo. Visit the beautiful Kom Ombo Temple, dedicated to the crocodile-god Sobek and the falcon-god Haroeris. The temple stands at a bend in the Nile where, in ancient times, sacred crocodiles basked in the sun on the riverbanks. At the end of the day, you will return to the ship and we will set sail for Aswan, where you will enjoy a relaxing dinner and an overnight stay. Visit the monumental High Dam, constructed from 1960 to 1971, then proceed to the Granite Quarries, which supplied the ancient Egyptians with the stone that was used in so many of their ancient temples. In the afternoon you will enjoy a cruise on a felucca, a traditional Egyptian boat that has become a lovely symbol of the Nile. 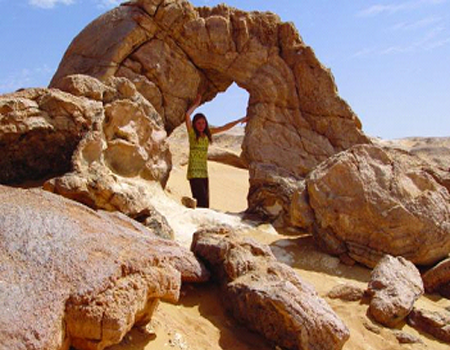 Sail around Elephantine Island and the Mausoleum of Agha Khan. Continue with a visit to the restful Botanical Gardens. Today you will enjoy some time at leisure. You can join the optional excursion to Abu Simbel, where you will visit the famous temple of Ramses II and his wife, Nefertari. Ramses II built two temples known as “Abu Simbel,” and both were removed from their original place in 1964 when they began to sink into Lake Nasser. 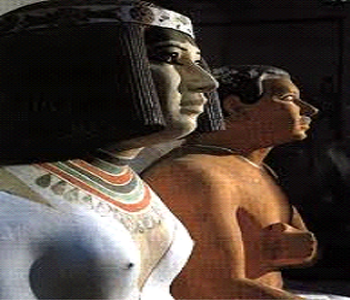 On the façade of the Great Temple are 4 colossal statues of Ramses II. Close by lies a small temple dedicated to the goddess Hathor. In the afternoon you will have the option of taking a city tour of Aswan, where you can visit the lively and fragrant spice bazaar. During lunch the ship will sail back to Kom Ombo and Edfu, arriving in Luxor at midnight. Enjoy the day relaxing as you cruise up the Nile, and be enchanted by the passing landscapes. Following breakfast on board, drive to Karnak Temple. Although badly ruined, few sites in Egypt are more impressive. The largest temple complex built by man, it represents the combined achievements of generations of pharaohs and workers. Made up of 3 main temples, several smaller enclosed temples and outer temples, all are situated on the 247 acres of land. Return to the ship for lunch. In the afternoon you can take an optional tour by horse-drawn carriage, or relax at leisure on board.
. Check out of the cruise ship and transfer to Luxor Airport for your onward flight or flight back home. Day 2: This morning we meet with our guide and have a full briefing for the week ahead. We then have the rest of the day free to enjoy the hotel, pool and beach. Snorkelling equipment is available to hire and you can swimming and relax. Overnight. Day 3: After breakfast we transfer by 4WD vehicles (approx 2 hrs) to a sandstone area at the entrance of the White Canyon. We have a relaxed lunch and then we ascend into the beautiful sandy, white canyon. 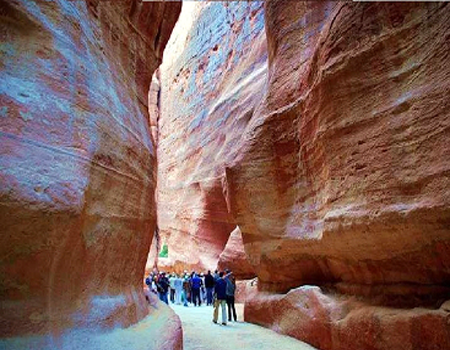 After walking through the canyon we arrive at the picturesque and lush oasis of Ain Hodra. Here we overnight in the gardens of the Mezzeina Bedouin either under the palm trees or in the Bedouin tents. Day 4: This morning we are introduced to our camels. After a camel riding lesson we are off riding through Wadi Hodra to Canyon Maqfool, one of the tightest canyons in the Sinai! After lunch we continue on camel and foot to Naqb el Hamidad and then Wadi Ghazala where we camp in the desert. Day 5: After breakfast at our desert Bedouin camp we pack up and set off again on our camels or foot through the Wadi Ghazala until we reach Gebel Melehes. After lunch we walk down to explore the small oasis of Melehes. And we camp at the foot of the mountain. Day 6: An early start with a vehicle transfer to St Catherine's Monastery (2 hrs drive). We visit the monastery and then have some lunch. In the afternoon we have the option to walk to Wadi Arbain or to climb Moses Mountain for the sunset. The majority of the climb can be done on camel back, but the 365 steps to the summit have to be done on foot! We return and camp at St Catherine. Day 7: After a leisurely breakfast we depart St Catherine and the desert and return to Sharm el Sheikh and our beach bungalows at Sharks Bay Bedouin Camp. We have the rest of the day free to relax, swim or snorkel. Overnight Sharks Bay Bedouin Camp. Day 8: We have the morning free to relax, snorkel and swim at this delightful spot before we transfer to Sharm El Sheikh airport for the flight home. 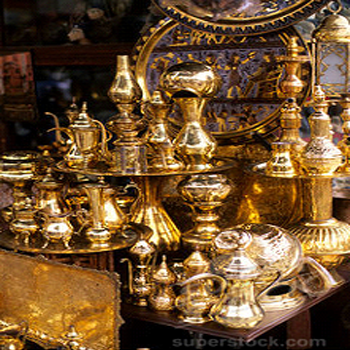 · Miscellaneous expenses - drinks and souvenirs etc.